Our range of products include stainless steel pump, ss 316 gear pump, positive displacement gear pump, ss rotary gear pump and stainless steel dairy pump. Leveraging on our experience, we manufacture and export an extensive range of Stainless Steel Pump. Our offered stainless steel pump is provided with lots of different stipulations & sizes in order to satisfy our customers. The stainless steel pumps given by us is much admired in the market for its accurate dimension & long service life...For delivering the faultless range of stainless steel pumps, we examine the entire range on provisions of quality under the direction of quality specialist. Dear Sir We are an ISO company and manufacturers of centrifugal pump,stainless steel pumps,gear pumps. Pl send your inquiry in detail to quote you proper pumpset. 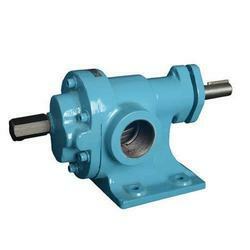 Rotomatik-SS Rotary Gear Pumps We specialize in offering SS Rotary Gear Pumps in Pune-India, which are manufactured using quality raw material, procured from reliable vendors of industry. 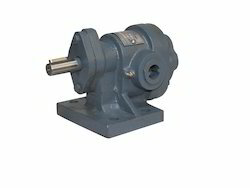 These pumps are appreciated by clients for their features that include easy maintenance, easily cleanable, corrosion resistance, and require no lubrication. Owing to these features, the pups are ideally suitable for handling viscous food product like ghee, butter, fruit pulp, and vegetables. Stainless Steel Pumps For Dairy Applications The design of the Stainless Steel Pump casing, volute and impeller is a transfer of technology from a leading pump manufacurer based in Pune. Our stainless steel pumps are lightweight and having high strength stainless steel sheets which are manufactured by a special machining process to obtain components like pump casting, impeller backplate, etc. 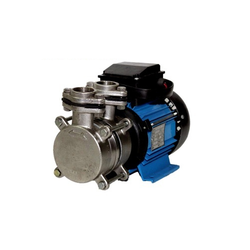 We manufacture hygiene milk pumps. 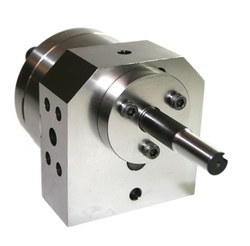 Looking for Stainless Steel Gear Pump ?